Writing is awesome, its a hobby that actively encourages you to hide away in your room, avoid humans and day dream spending days in your own private world hidden in the depths of your mind. However, writers are a strange type of creature. You see a writer will hide away in a comfy cocoon of blankets, pillows, jogger and hoodies, surrounded by unhealthy snacks and craving coffee, hissing at anyone who dares goes near their beloved laptop. This creature avoids leaving its cocoon and venturing into the bright lights of the real world, preferring to communicate through texts and the Internet because humans are scary creatures. A writer is a self destructive creature, spending hours smothered in doubt and self hate as they are convinced that their work is dirt. They will surround themselves in isolation trying to create the perfect book, pouring their heart and emotions into words on a page. As this strange creature grows and matures it will start to tiptoe into the real world. See, this little self destructive creature wants the world to read it's work, the hope of publishing their book drives them. But you can learn a lot about the creatures personality by what they write, this venerability scares them and sometimes can prevent them from leaving their cocoon. For this strange creature to mature and reach adulthood it must complete the task of the dreaded first draft. For the tiny creature this will be the biggest fight it will have ever come across. Of course this wont be the most terrifying thing the creature has to do, editing is rumoured to be a dark lonely place what can send this timid creature running to a dark corner to hide. 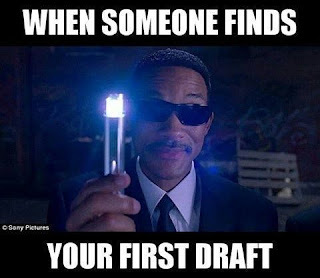 But for the time being, completing the first draft is the hardest thing they will have to face. For me, I am still dragging my feet through my first draft. Over the time of writing my book I had rewrote it 3 time!!! I am an idiot for doing this. Yet, despite knowing how much of a set back that is and how painful it is to rewrite everything you've wrote so far, the temptation to do it a 4th time is still there. I'm also a bit stuck on my first draft. I know many other writers can sympathies with me when I say that writing your first draft is nerve wracking but exciting and wonderful. 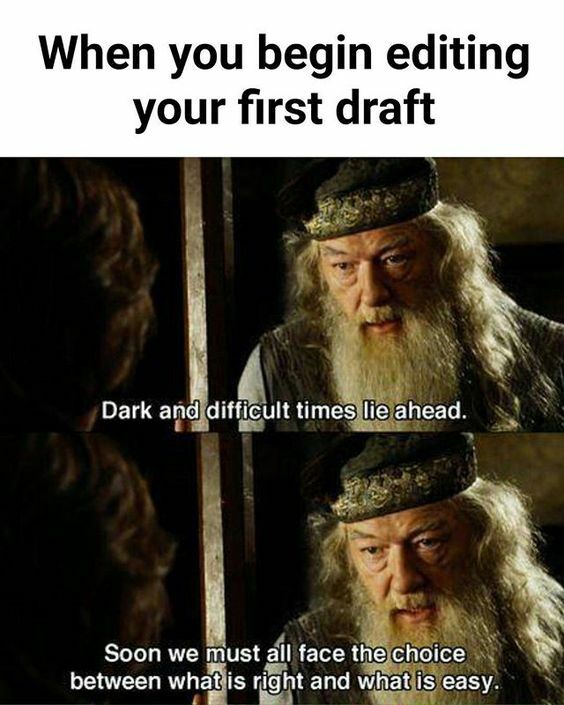 You read your first draft, read it again, then again and again. The amount of times I've read my book is ridiculous and because I've read it that much it seems predictable and boring whats understandable. Despite knowing this, I'm still dragging my feet with my first draft. I've read many other posts about getting through your first draft and I've came across quotes that encourages you to just write. Don't look back, don't edit, just write! So this is just a little update on how I'm doing writing wise. If you have any advice, that would be really appreciated so come say Hi in the comments. But for now, that's as far as I've gotten with my book. I will keep you guys posted though. Time to change - a month long challenge.